Greenleaf Book Group Press, 9781626340176, 392pp. From birth, Noah Hogarty has lived with severe cerebral palsy. He is nearly blind, unable to speak, and cannot run, walk, or crawl. Yet his mind works just as well as any other twelve-year-old's maybe even better. And Noah holds a secret dream: to become a great spy, following in the footsteps of his aunt, Liv Boots Bergen. Now, freshly returned from training at Quantico, FBI agent Liv Bergen is thrown into her first professional case. Working side by side with veteran agent Streeter Pierce, enigmatic agent and lover Jack Linwood, and her bloodhound Beulah, Liv must race to find five-year-old Max last seen at the Denver International Airport before this Christmastime abduction turns deadly. Meanwhile Noah, housebound, becomes wrapped up in identifying the young face he sees watching him from his neighbor's bedroom window, but he can neither describe nor inscribe what he knows. 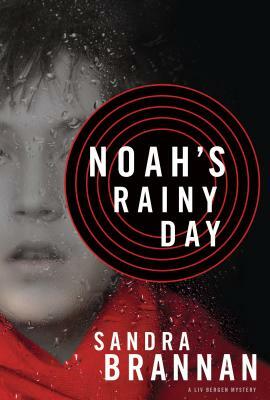 Noah's Rainy Day (the fourth novel in Brannan's mystery series) combines classic Liv Bergen irreverence and brainpower with an unflinching look at the darkest of human motivations, all while a whirlpool of increasingly terrifying events threatens to engulf Liv and Noah both in one final rainy day. For twenty-five years, Sandra Brannan has worked in all aspects of the mining company that was founded by her grandfather, father, and uncle in 1944. She lives with her family in Rapid City, South Dakota.